AboutAcura: Acura TSX - "the least expensive luxury car to own"
Acura TSX - "the least expensive luxury car to own"
ForbesAutos compiled a list of Top 10 Least Expensive Luxury Vehicles to Own. "Cars at the lower end of the luxury class are the least costly to own because their lower starting prices minimize the effects of depreciation." 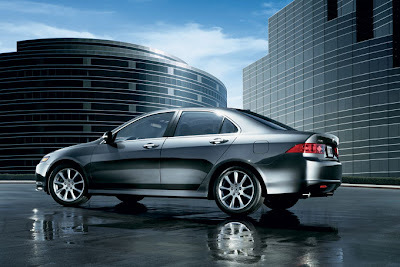 At the top of the list is the Acura TSX. 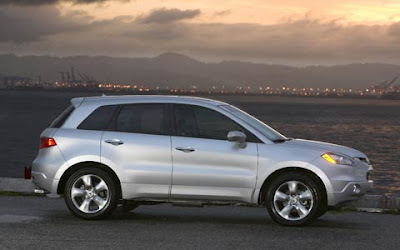 Also included is the Acura RDX, the "only SUV that runs with the 10 luxury vehicles that are least expensive to own." Half the models on this least expensive to own list wear lower sticker prices than the Acura TSX. But after five years, this sporting sedan ends up the most economical. Acura's reputation for vehicle reliability helps hold up resale value, so that the TSX depreciates just 49 percent over five years — the lowest depreciation among the 10 luxury cars that consume cash most lightly. It also boasts the lowest maintenance and repair expenses among these 10 lowest cost luxury models. The Acura RDX is the only SUV that runs with the 10 luxury vehicles that are least expensive to own. With the gas-guzzling rap against SUVs, it seems appropriate that the RDX has the highest estimated fuel cost in the group. At $12,542 over five years, the Acura squanders 20 to 25 percent more fuel than some passenger cars in the ranking. Still, for a sport utility, its EPA fuel economy rating of 19 mpg city/23 mpg highway is good — especially for an all-wheel-drive hauler with pep and pizzazz.